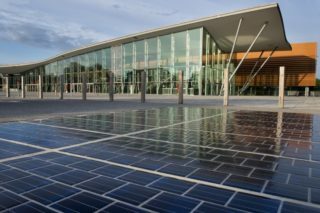 The French government has committed to building one thousand kilometres of solar roads, joining solar-road-pioneering nations such as The Netherlands and Korea. 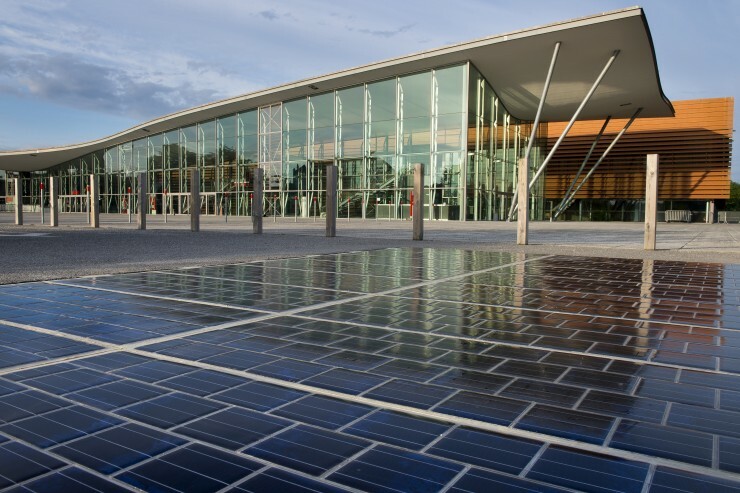 Wattway, the manufacturer of the solar road panels, claims that a home can be powered by only 20m2 of solar road panels. This would mean that 1km of solar road could power a town of 5,000 people. 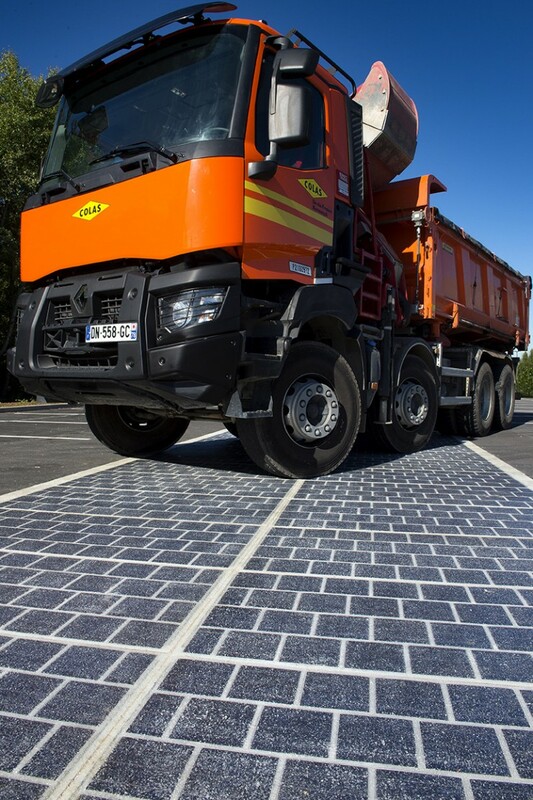 Solar Roads are extremely efficient in terms of space, as they are installed in pre-existing roadways and take advantage of otherwise wasted sunlight and space. 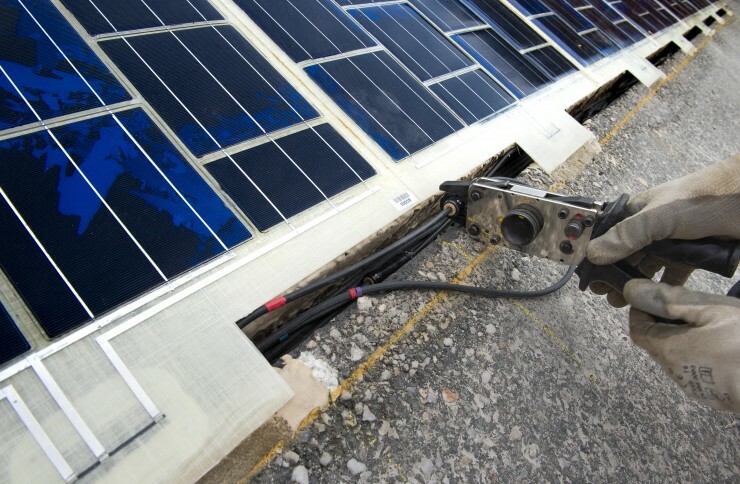 Some solar road systems also integrate led lights for signage and internal cable storage lines which can eliminate the need for ugly and inconvenient outdoor power poles and lines.